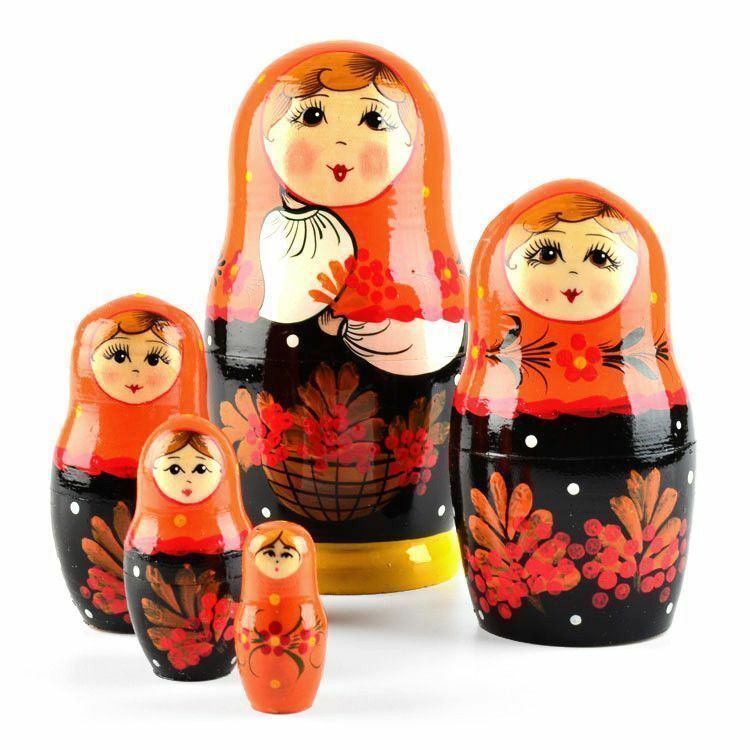 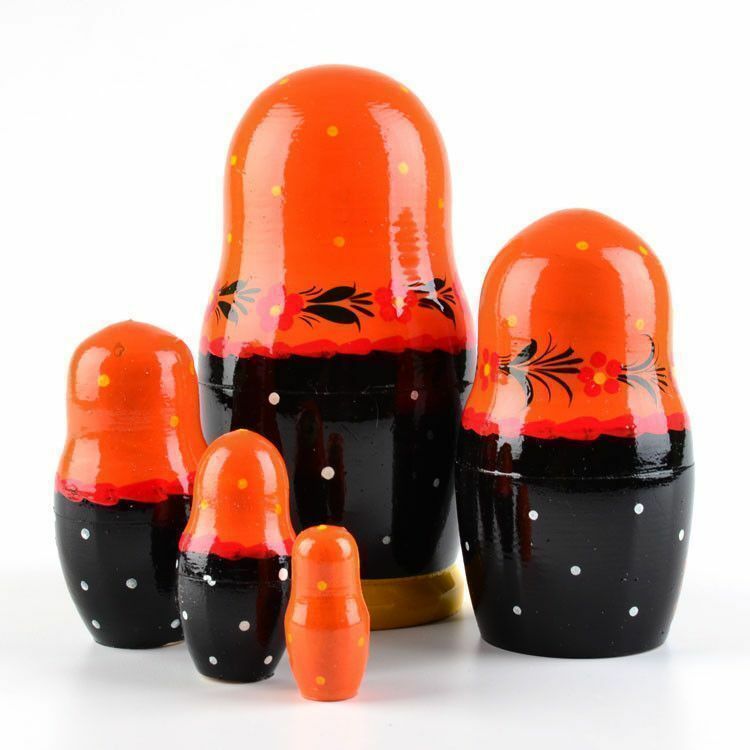 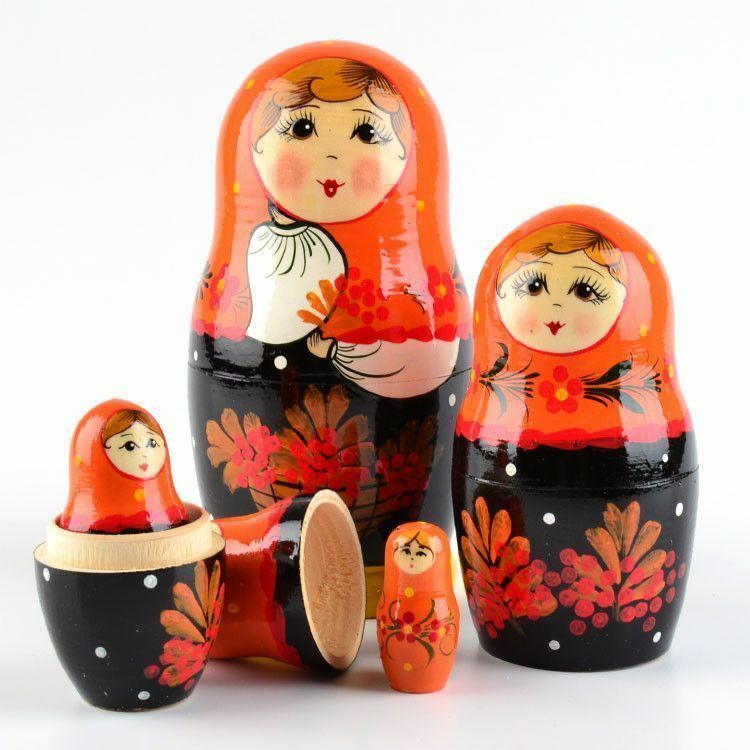 This unique nesting doll features orange and black colors, accented with a little bit of white and yellow. 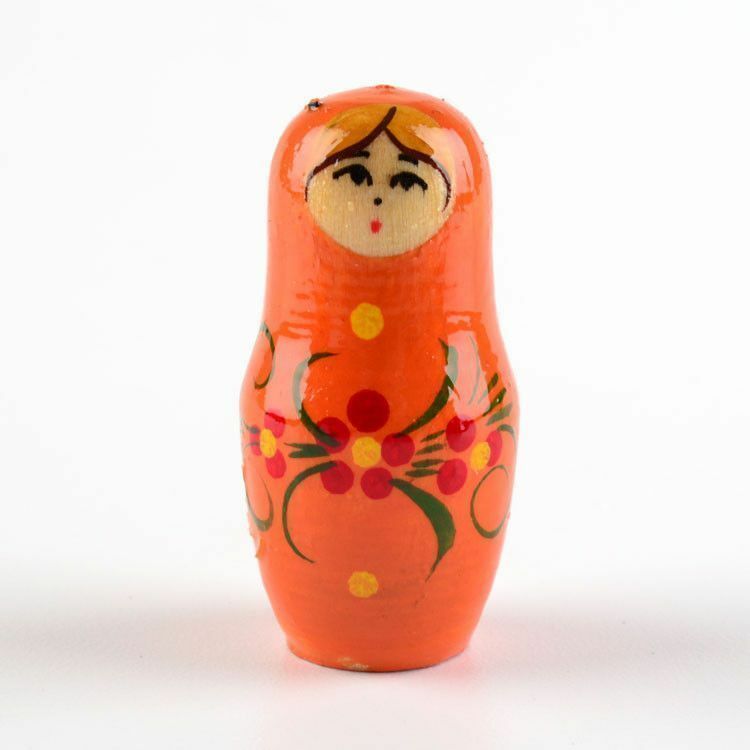 It stands Approximately 6 3/4" tall and has been glossed. 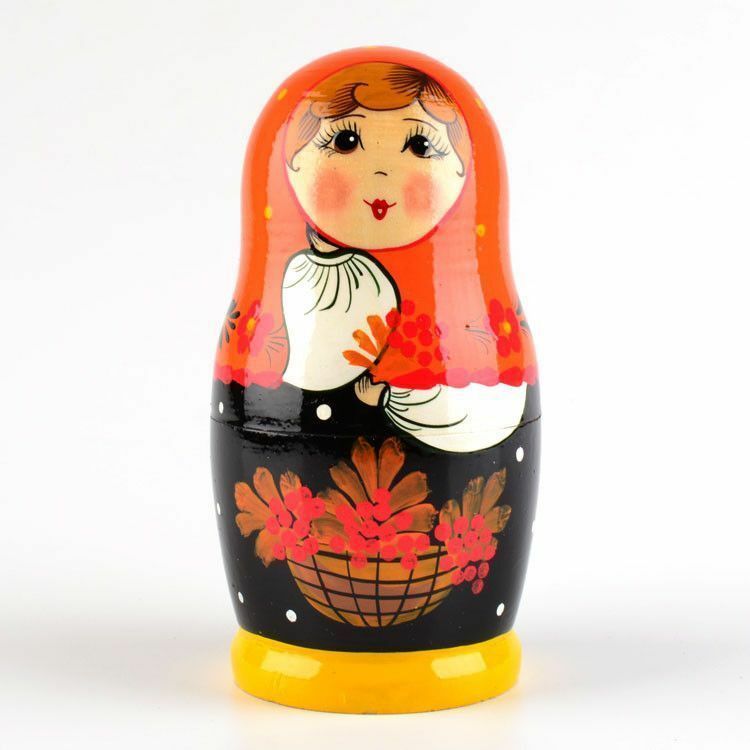 This doll would make fancy Autumn decor, but of course, you can enjoy matryoshki anywhere, anytime!